Xrm.Location addon provides a complete integration between Dynamics Crm and Google Maps. This solution helps Dynamics Crm users visualize their data by placing entity records on a map. After geolocating the entity that will be placed on a map Xrm.Location will provide a series of actions that can be performed on those markers/records. Most of the actions that are usually performed on a Dynamics Crm entity record are available from within the map. In addition to out of the box Dynamics Crm actions Xrm.Location will allow for SMS messaging by using a Twilio provider. 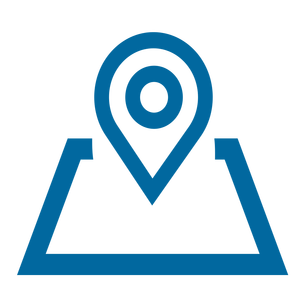 Geolocate an entity, place the markers on a map and forget navigating from one record to another to perform simple actions by using Xrm.Location addon. This action will not only remove the marker from the map but also remove the entity record completely. That is why this action will be followed by a confirmation dialog. This action set the state of the entity record to Active. This action set the state of the entity record to Inactive. This action will bring a popup with a lookup to all the Marketing lists saved in the system with an additional condition to the fetch definition, marketing list type must be static. This condition is added due to the fact that we can only add records to a static marketing list. Note that we can add a record to multiple static lists at once by selecting more than one marketing list record on the lookup dialog. By using this we create an email record with the targeting marker/record added as a recipient for this email. In case we have directions printed on the Directions tab we will get an additional option to append these directions to the email body. As mentioned before this action will be shown if Twilio has been configured and the GeoLocated entity has a valid phone attribute value. If the marker action goes through successfully a Twilio Action record is created and the sms message is put in the state of “Queued”. Visualize your Dynamics CRM data and much more. The app can also be found on the Microsoft AppSource following this link.